In honor of the new year, I’m going to start a new section on my blog that focuses on organizing for us parents. Nothing keeps us more in touch with the power of a good system then doing it for ourselves now and again. 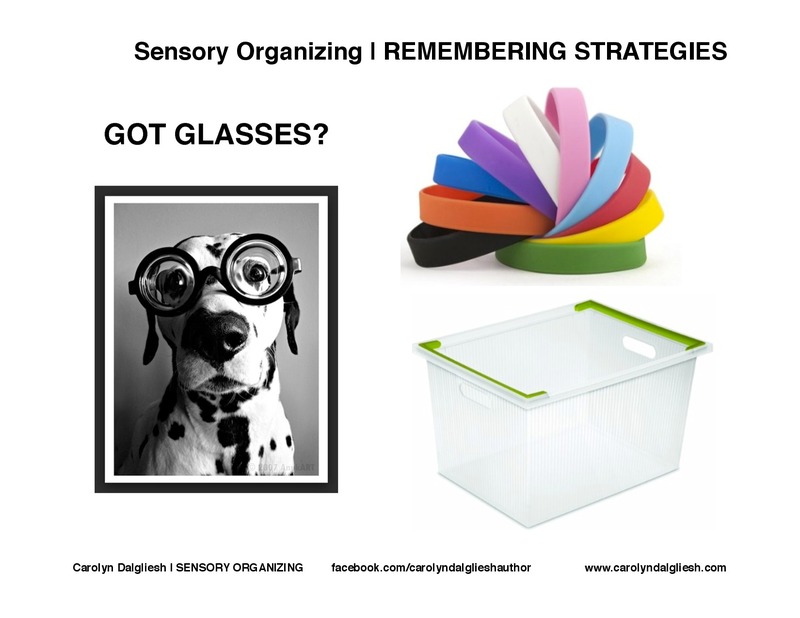 Like Sensory Organizing Systems, we’re going to focus on small changes that make a BIG impact. 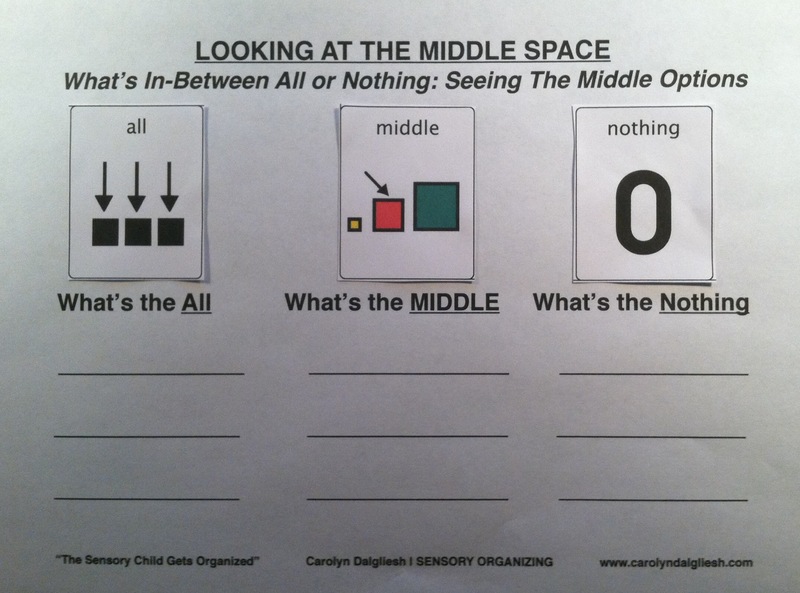 With Simply Organized Enough, we’ll look at problem areas / challenging tasks and focus on organizing one small section that will impact the whole space or task as a whole. For me, 2015 is all about doing less but achieving more! 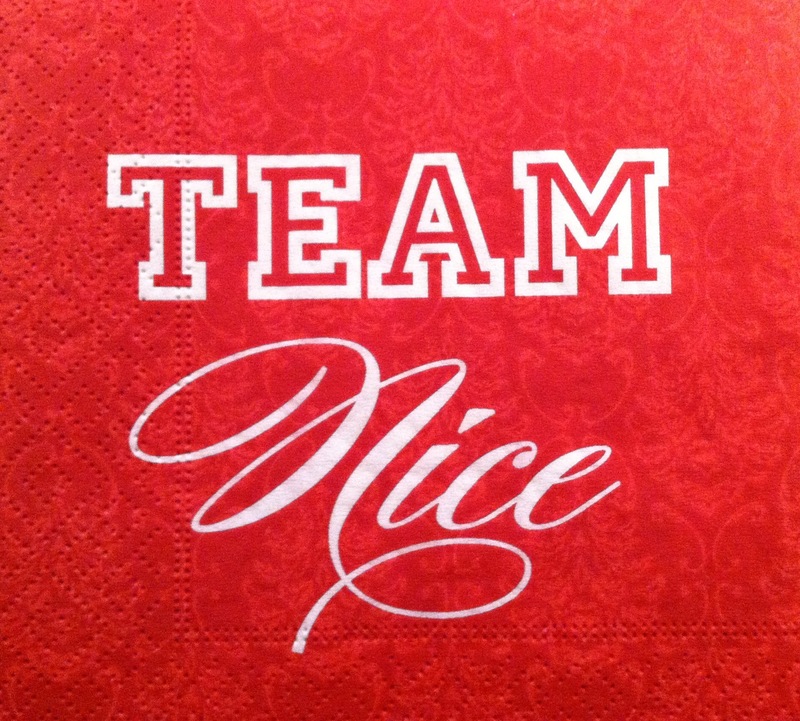 Often, when I’m am working with an organizing client on a problem area, it almost always comes down to one main issue. Like other areas in life, the 80/20 rule applies to organizing problem areas – 20% of the area causes 80% of the problems. If you can find that 20% and adjust it, the whole space will work much more efficiently. My house is no different. 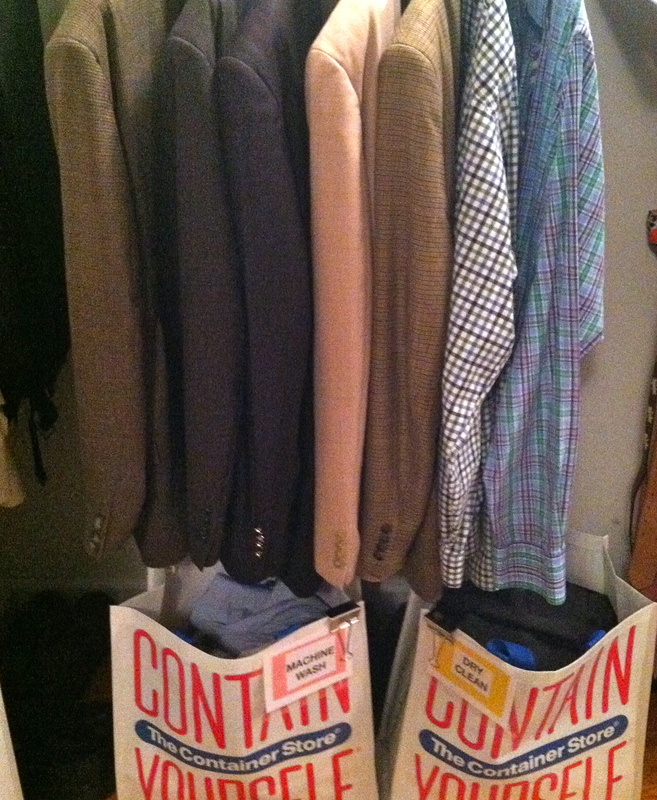 Here’s an example of this 80/20 rule in my own house – the master bedroom closet. 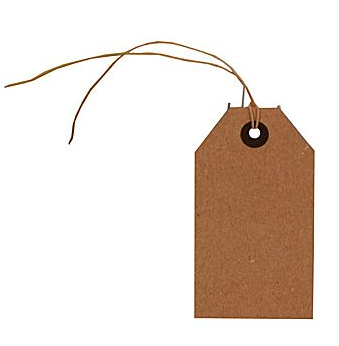 My husband wears business clothes to work – some that can be machine washed and some that need to be dry cleaned. Knowing his work clothes could not go in with the everyday clothes in the hamper, he kept them separate but with no definitive home, they all end up mixed up on the closet floor. When it came time to try to figure out what was what – the task took longer, was more frustrating, and was often done at the last minute. This one small area was causing 80% of the challenges with this task. With Simply Organized Enough, I’m just going to focus on this one small area, use items I already own (if possible), and make a simple yet visual system. Working off where the clothes were already piling up (working off the habit that is already in place for my husband), I’m going to use the floor space under his hanging rod. Shoes that were in this space were put on a shoe rack that runs along the back wall of the closet. The front floor and low hanging space here was free game for me to use. 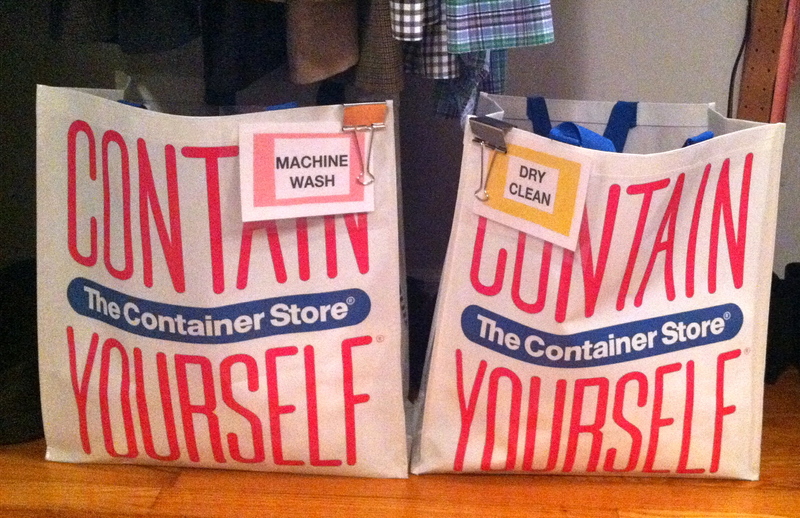 Looking at what I already had around that I could use, I found a great Contain Yourself reusable shopping bag from The Container Store (http://www.containerstore.com/shop?productId=10026217&N=&Ntt=reusable+shopping+bag ). 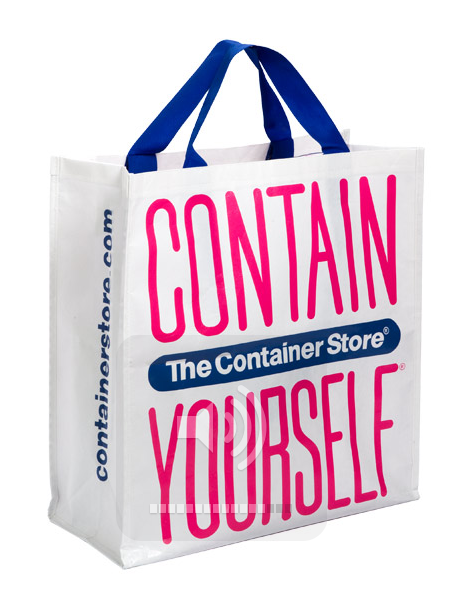 It’s significantly bigger than most reusable shopping bags (17-3/4″ x 7″ x 18-1/2″ h), holds up to 30lbs, and it features two sets of handles; two long shoulder straps and two shorter carrying handles. 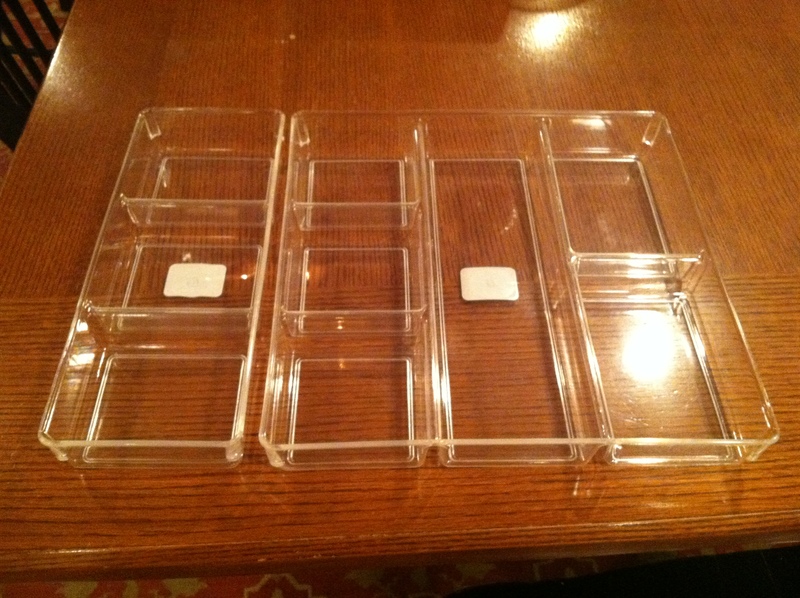 Knowing I needed 2 bags for this systems, it was easy and inexpensive ($1.99 per bag!) to pick-up one more. It’s a New Year and I know that everyone’s rearing to go – time to make BIG changes, time to get organized, and time to really make this year different. Well guess what? I don’t really buy into BIG changes, I buy into small but powerful ones. Being a professional organizer, I get many questions at Holiday Parties about organizing in the New Year and what big changes to do first. 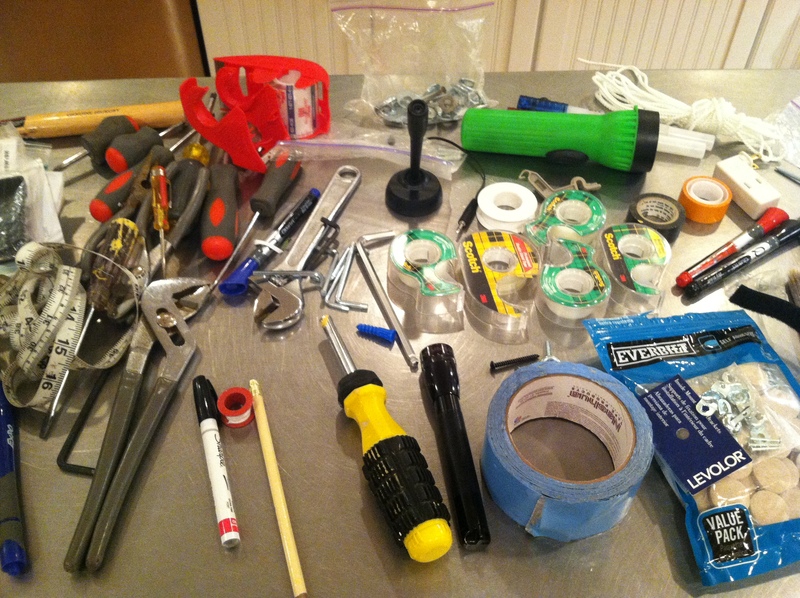 And I always tell people the same thing – start with your junk drawer. 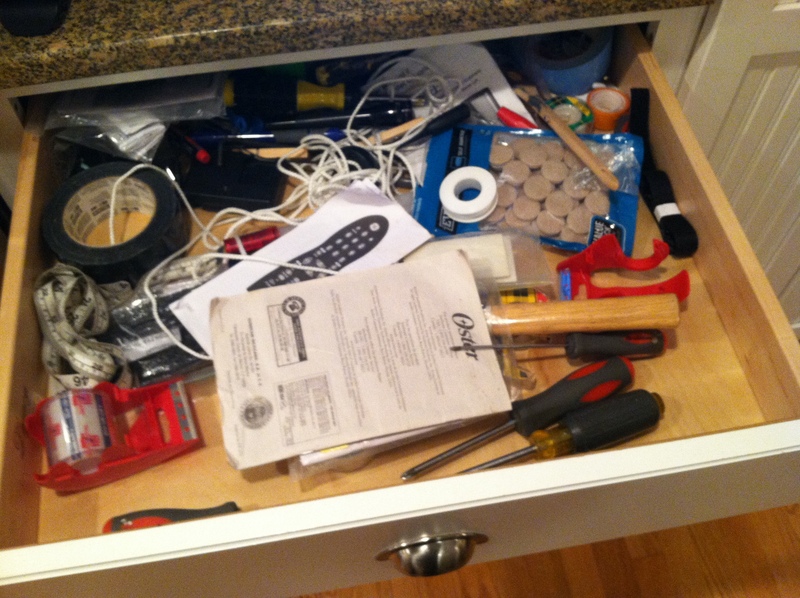 The junk drawer is a microcosm of our bigger organizational challenges. It is also one of the last places people tend to think they need to organize. I believe the opposite is true – I think it’s the first thing you need to do. 3) Stand Back and Admire your Talent. 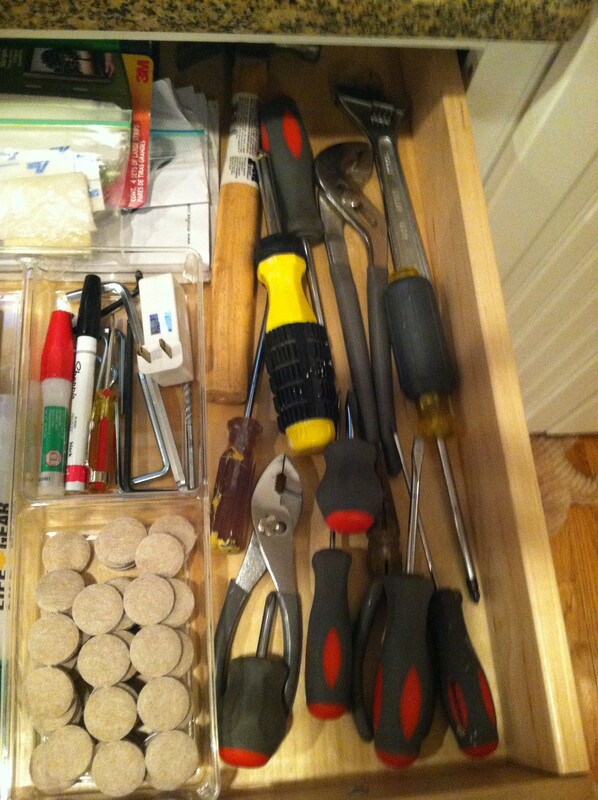 The junk drawer organizing process involves all of these steps. We all like drama. This means we can make all sorts of organizing projects bigger than they really are. 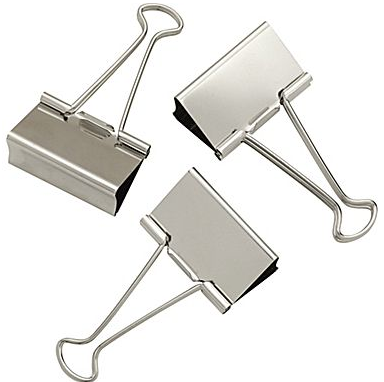 The junk drawer gives us a miniature way to see that things are never as bad as we think they are. As much as organizing is about being more efficient, it’s also about feeling calmer from the inside out as we meet each experience. 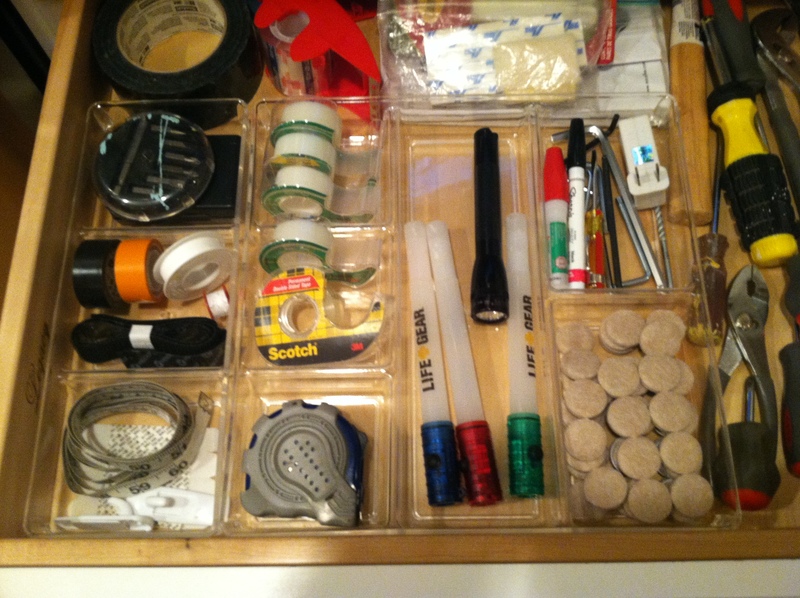 Look at that organized drawer and feel It – can be pretty motivating and that can move us on to the next project. Guess what? 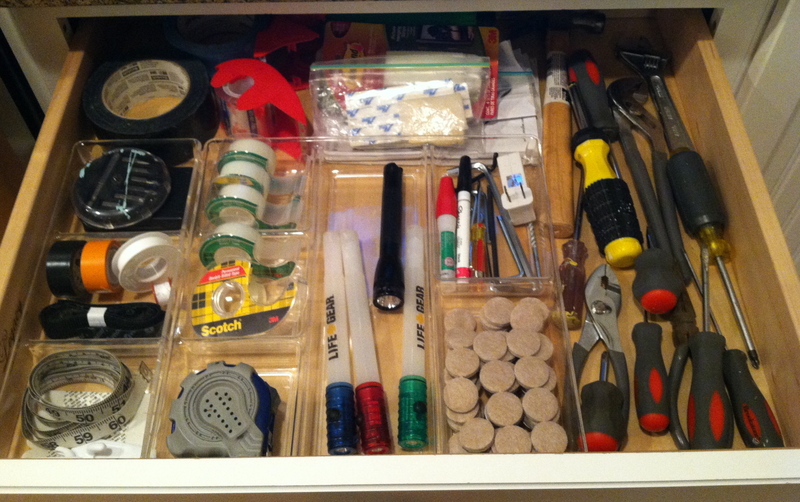 When you can organized your junk drawer, you can organize anything. All organizing projects are the same – our mind likes to tell us that this one is “too big” but now you know the truth – if you can do one project, you can do them all. The secret is to start small, gain some confidence and success under your belt. And when you have a thought that says “You’re not organized”, you can laugh because you can remember your junk drawer and know it’s not true. 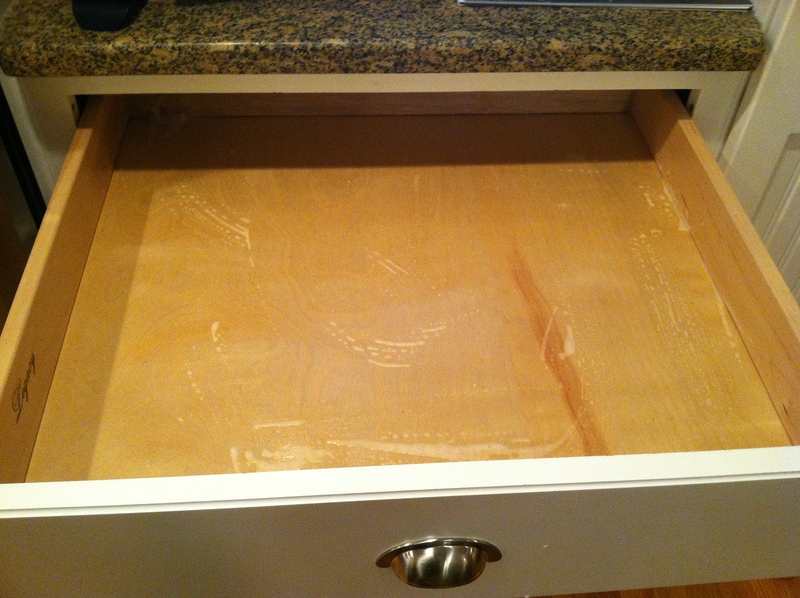 3) Do a soap / warm water wash of the drawer. 5) Re-organize: Keep like things together and if you find things that really don’t belong or will get used there, move ‘em out. 6) Stand back and admire your talent!